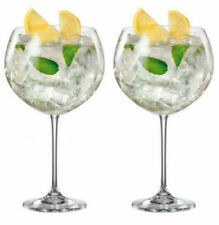 LUXURY GIN TONIC. 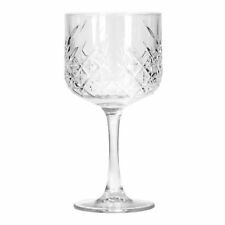 Beautiful Bohemia Crystal glasses SHOCK RESISTANT. Classic design with thin rim and slightly widened bowl. 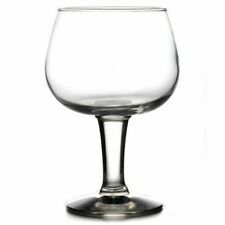 Perfect for enjoying your favourite glass of wine The range is made using long lasting tempered glass, which makes it shock and heat resistant, but also able to retain heat when needed. Advertising Edinburgh Gin. Beautiful unusual design/shape. Perfect for a party night s or as a gift for any occasion. 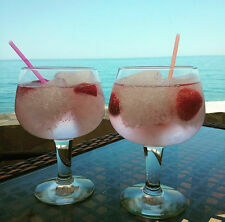 Size - Gin & Tonic Size. Quantity - 2 Glasses. Approx 15cm tall and 7cm across the top each. nd Class to 1. Rare and hard to get for now. 6 X Whitley Neill Balloon Gin Glasses For Home - Pub - Hotel. 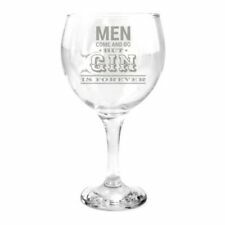 Box of 6 Gin glasses. Condition is New. Glasses will be bubble wrapped and boxed to protect them in transit. Dispatched with courier with 2 days of receiving payment. Size - 32cl / 320ml. Quantity - 1 Glass. 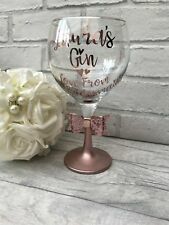 Two Stunning Liverpool Gin Company Balloon Glasses - NEW - Home Bar - Pub or just a real Gin lover - These are NEW Glasses a must for any Gin drinker - The Dimensions are 23cm high and 9cm diameter at the rim Please see photos A stunning glass with an etched Liverbird on the front and Liverpool Gin underneath - I do have other items for sale so please check out my other listings. Thanks for looking I list new items weekly so please keep checking out my listings. It has"ALL YOU NEED IS LOVE ANDgin andtonic " inscribed on the glass --as the photographs shows. A really modern excellent priced item (a boxed item of this quality for just £9.99!). (21cms x 19cms x 9cms deep), as per the photograph. 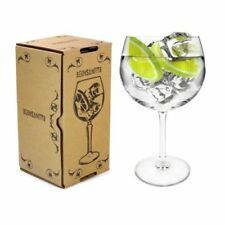 Box of 6 Stunning Fentimans Gin Company Balloon Glasses NEW Home Bar - Pub - Condition is New. Glasses will be bubble wrapped and boxed to protect them in transit. Dispatched with Royal Mail 1st Class. 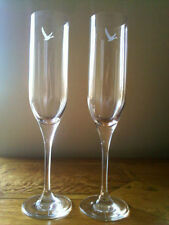 2 x Stunning Whitley Neil Balloon Glasses. 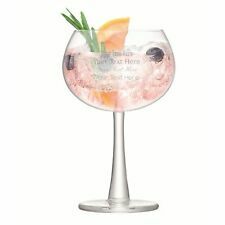 Tall Gin Glass with "let the weekend be gin"